Today’s inspiration was made for the Blooms & Butterflies Challenge BB-5. The colors used are: Chocolate Chip, Soft Sky and Wild Wasabi. I made this card for my Dad’s Birthday. I used the Bakers Twine and tied a bow in the button. 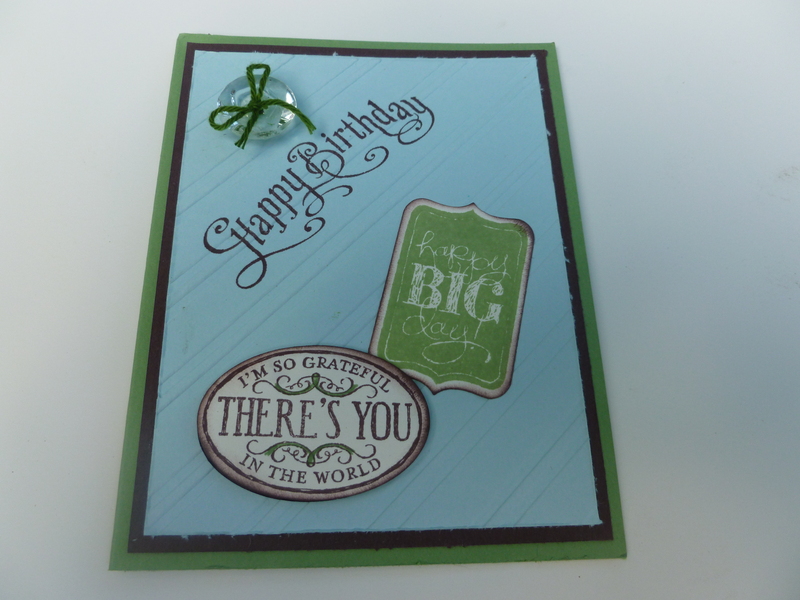 I used the white bakers twine and colored it with the Wild Wasabi ink pad super easy. 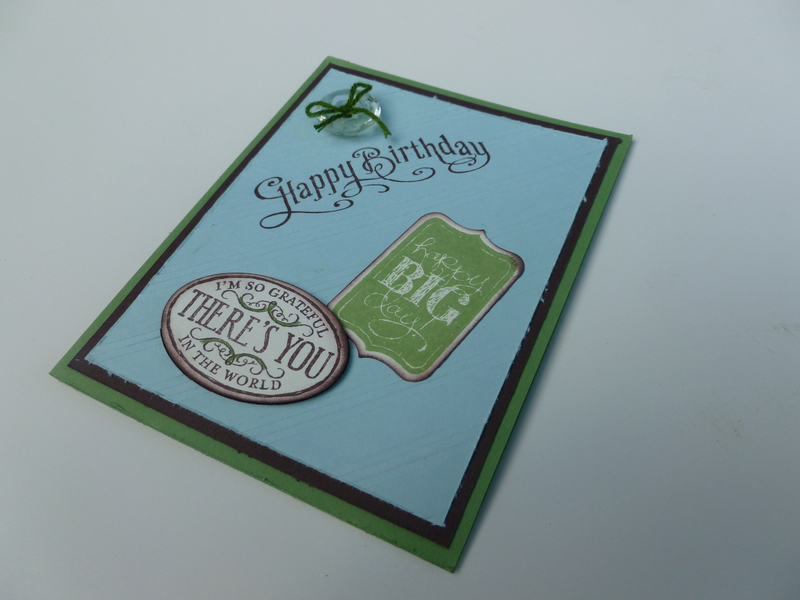 Tip: When stamping on a embossed image- stamp first then emboss. Card size: 5 1/2″ x 4 1/2″ : Layers are 1/4″ smaller: Other parts: Punched out & I used the Chalk Talk Framelits (you could cut out with scissors if you don’t have). I hope that this gives you some inspiration today! This entry was posted in BB Challenge, Happy Birthday, Masculine and tagged card, cardstock, chalk talk, Chocolate chip, dawnscreations2, Embossing folder, Framelits, Happy big Day card, Happy Birthday Card, how to make a birthday card, paper art, paper crafting, soft sky, stampin up products, Stamping, Stamps, wild wasabi by dawnscreations2. Bookmark the permalink.